Dry January is here to stay! Since its inception in 2012, by the charity Alcohol Concern, millions of Brits have pulled the plug on the nation’s favourite pastime. This January, a whopping 4.2 million people are planning to abstain from the sauce. The news has shown this year that 25% of millennials have turned their backs on booze – which shows that the trend is in no danger of abating anytime soon. We don’t think you need to give up on life for a whole month, which is why we have created the Ultimate Drinkers Guide to Dry January. The world has changed, and you can now drink your way through dry January as a fully-fledged grown up without touching a drop of the good stuff. Even at The Cocktail Service we are putting the finishing touches to our non and low alcohol menu as we see a strong trend for cocktails with lower and no alcohol. We are increasingly seeing clients hiring mobile bars and choosing predominantly low or no alcohol cocktail menus. If you’re partaking this January then our guide will ease the journey on the path to abstinence. The local is going to be a tricky ground to tackle but lucky for abstainers, there are a huge amount of social options including dry bars, quirky experience bars and venues. We have done the research for you and below is our definitive list of venues where alcohol is not the focus. A dry cocktail bar that’s made abstinence cool, serving delicious twists on popular classics sans alcohol. The bar’s motto is “spoil yourself without spoiling yourself” and they certainly deliver on this. Redemption’s two venues in Shoreditch and Notting Hill have a buzzing vibe. With friendly crowds and live music, Redemption is the perfect escape for a January night out. Located in the northwest of our fine land, The Brink is a teetotaller’s paradise. Serving up epic cocktails, live music, art and performances to keep things exciting. Best of all, The Brink is a social enterprise with all profits going back to those who need help with alcohol addiction. A bit like The Brink, Sobar is an charitable offshoot and they have created an awesome little venue for the vibrant Nottingham scene. Hosting poetry, live music and DJ sets it’s a super friendly venue - in stark contrast to the rowdier local venues that serve ‘the bad stuff’. If you have a stronger resolve and can stay dry while mixing with drinkers, then Flight Club is a great option. Social gaming in bars is now big business in the UK and Flight Club offers its patrons great drinks (including mocktails) and plenty of fun to be had playing darts with your mates. As above, another traditionally naff indoor sport has been made cool. This epic bowling experience will distract your mind from the booze and All Star Lanes also offers top notch food and drinks for punters. What’s even better? All Star Lanes is open nationally, covering London as well as Manchester. Indoor mini golf, over three courses in a dark, fluorescent venue…you’re guaranteed to have an above par time and the thought of alcohol will be banished…for a few hours at least. Of course, another benefit is that not drinking will help improve your swing on the tricky holes. The Green is Manchester's premier indoor golf, games, sports bar and entertainment venue. If you're after a fun day or night out, The Green is the right place for you. Situated in the heart of Piccadilly village, the venue has become the hangout for sports enthusiasts within the city centre. Any bar where activity is the main focus is good with us. For a super cool sports bar then look no further than Alvinos in the glorious North East. a great addition to Newcastle’s bar scene this trendy bar puts the fun in funky, decorating its premises with old vinyl records, posters, beer coasters and cool industrial style lamps. Complete with pinball machine and football table, this place is a riot of excitement and the most laid back of hang outs. Even the menu is a comic strip, so don't start yawning when you're forced to read a drinks list and not allowed to pick an alcoholic beverage. It’s no longer a struggle to find a half decent soft drink, the adult soft drink market is booming. Ten years ago Coca-Cola or R.Whites Lemonade were your only options, now there is a huge variety of low alcohol options available that are not packed to the brim with sugar. We have decided there are three types of non-drinkers in Dry January – Hardened, Weekenders and Softies. In our opinion the king of the non-alcoholic beers, it packs a serious punch flavour wise and suits even the craft flavour purist while striving for a Dry January. Low Alcohol shouldn’t worry the hardened drinkers. It’s a hoppy, flavourful beer and even looks like the real stuff when you are out with your mates. Okay so while craft beer is having its time in the sun, there are some who can’t stand the hoppy, fruit beer invasion of their local. Heineken Alcohol Free exists to satisfy these palates. Now we must admit, there are some horrifying examples of low alcohol beer out there currently, made by major lager brands (we won’t name any names) but Heineken’s effort is strong. It tastes just like a ‘real’ lager and you could definitely be forgiven for thinking you’re drinking the hard stuff after six of these. Seedlip have created a category, and definitely make it into our essential selection. Ben Branson, the alchemist behind this fine product, developed it in his shed before introducing the world to non-alcoholic spirits. Spice 94 is a mix of citrusy botanicals that lends itself to a splash of tonic and a squeeze of lime. It’s a fresh, warming drink that is a great alternative to a short. In our opinion the best non-alcoholic gin in the world. It’s a surprisingly punchy, juniper-led affair (the key botanical in gin) with all the flavour of gin but none of the hangover. Serve with Fevertree Mediterranean Tonic and a squeeze of lime. A tremendous red wine, but with none of the alcohol…that’s Win Tempranillo. Fresher on the palate but with a more rounded mouth feel than its competitors, it has aromas of summer fruits and a hint of liquorice, vanilla and sweet tannins with a clear cardinal red colour. So, it’s here, a palatable range of non-alcoholic wines from Eisberg, and our favourite is their sparkling blanc. Although, as with many non-alcoholic wines it lacks some of the complexity of its alcohol laden cousins, it does have a great flavour and makes a much-needed change from the glass of orange juice at the Champagne reception. Shrubs are a centuries old method of steeping fruit and botanicals in sweetened vinegar and water to create tasty beverages. Shrubs are rightfully respected in the cocktail scene; here at The Cocktail Service we’re sure kombucha is here to stay. Our faves are made by SHRB Drinks with their Lime & Juniper variant a winner. Perfect for those with an adult palate who are swerving the post-Christmas drinks. All the delight of Crabbies but zero proof. Great bite and flavour, as you would imagine, so you can look the part as you rebuff any hangover-pending haters. Grown-up soft drinks made with real fruit and ingredients… no nasties. Square root have a core range of cola, lemonade and ginger beer as well as some great seasonal numbers such as Pear & Aronia and Bergamot. Made in Hackney. Plant based tea soft drinks: functional, sophisticated and zero alcohol. 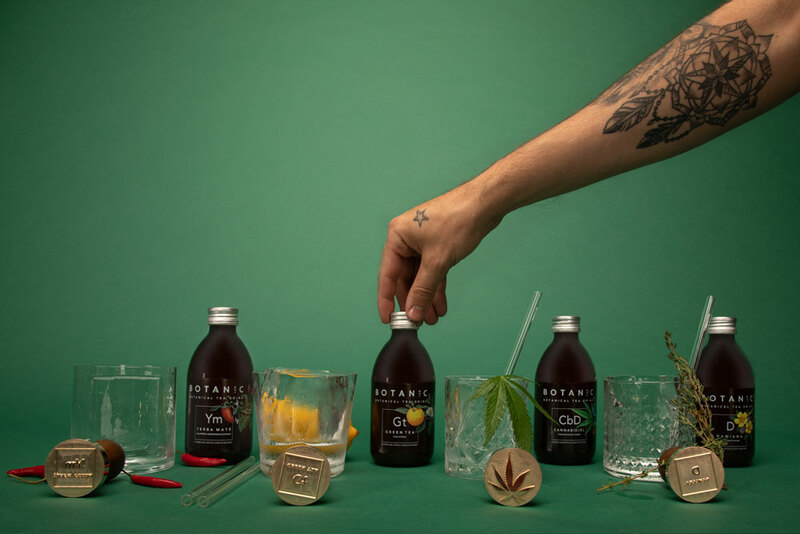 Choose from aphrodisiac Damiana, with grapefruit & thyme; invigorating Yerba Maté, with ginger & jalapeno; Green Tea, with yuzu & citrus; or the UK’s first CBD soft drink to de-stress. This is serious adult soft drink territory. Super refreshing, super low sugar and super tasty. See you later Lipton. 1. 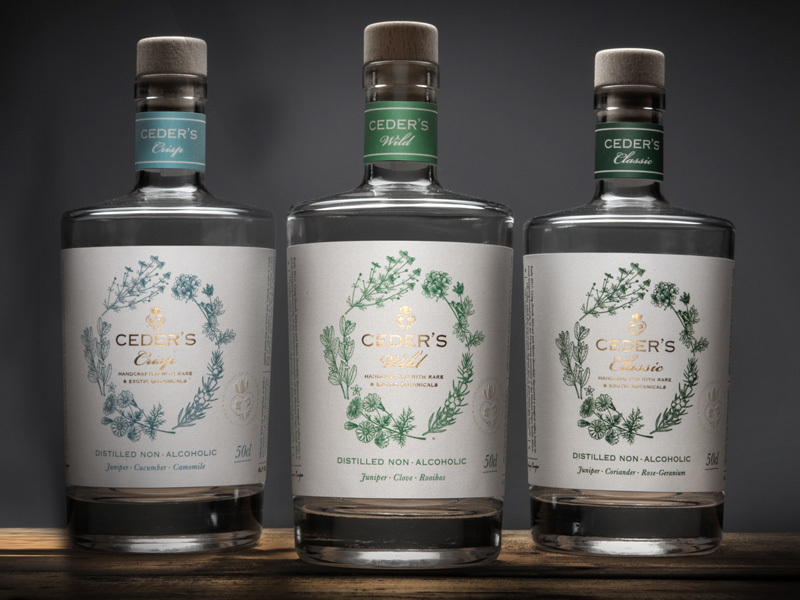 Ask the bartender at the cocktail bar what drinks on their menu they can make boozeless… with the rise of non-alcoholic spirits such as Ceder’s or Seedlip it’s now easy to replace key white spirits with a non-alcoholic version. 2. Choose more “doing” social occasions – there are plenty of bars now that offer activities and tipples to keep everyone happy. 3. Count the cash – it will be a surprise to many how much they spend on booze. Count the dollars at the end of the month. 4. Check out the info-graphic on calories in booze to see the difference your abstinence is making. 5. If all else fails…just cut back. A month of relative purity will give you a great sense of achievement even if you don’t survive the full 31 days. So good luck to all…a month without booze will do you the world of good and will certainly leave you feeling wholesome if nothing else. If you are looking for a dry mobile bar hire…or indeed a fully fledged mobile cocktail bar then GET IN TOUCH.